This past week was pretty big in my world, as my girlfriend bought a new business – Beauty Boutique. After years of working for other people in the makeup and home decorating industries, she decided that it was time to try something for herself. I could not be more proud of her for taking this step. As my dad has always said, “It’s hard to make money working for somebody else.” Unfortunately, I didn’t totally listen to his advice. Beauty Boutique has been in existence for a couple of years and has proven to be successful. I know that my girlfriend can use its prior success as a foundation on which to grow. The boutique offers lines of women’s fashion, accessories, and beauty products. It also offers services such as hair styling, waxing, massages, facials and most anything you can think of that makes people feel and look good. In fact, I am hoping it does some miraculous things for me. For those of you who live nearby, please top by Beauty Boutique and see what it has to offer. For those who don’t live nearby, I hope you visit the Nashville area one day. When you do, please make Beauty Boutique one of your destinations. After all, one can only spend so much time in the Honky Tonks. 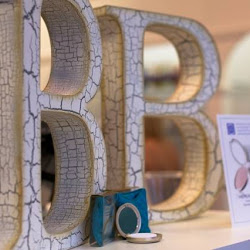 Be sure to tell the staff that you heard about Beauty Boutique while strolling through the SBI World. Who knows? You might get a discount. I’ve been wanting to check that place out. I’ll definitely have to go now that I have a sort of connection there! Please do, and tell them that you read it here first. Wish you both the very best! Exciting times! Thank you. It’s exciting and a little scary at the same time. Makes me wish I were planning a trip to Nashville so that I could partake of the Beauty Boutique’s services. Congratulations to your girlfriend, and may her business live long and prosper! Thank you very much. Come on down. We will take care of you. If I ever visit your place, I’d defnitely think of going under the knife… do they do that there?